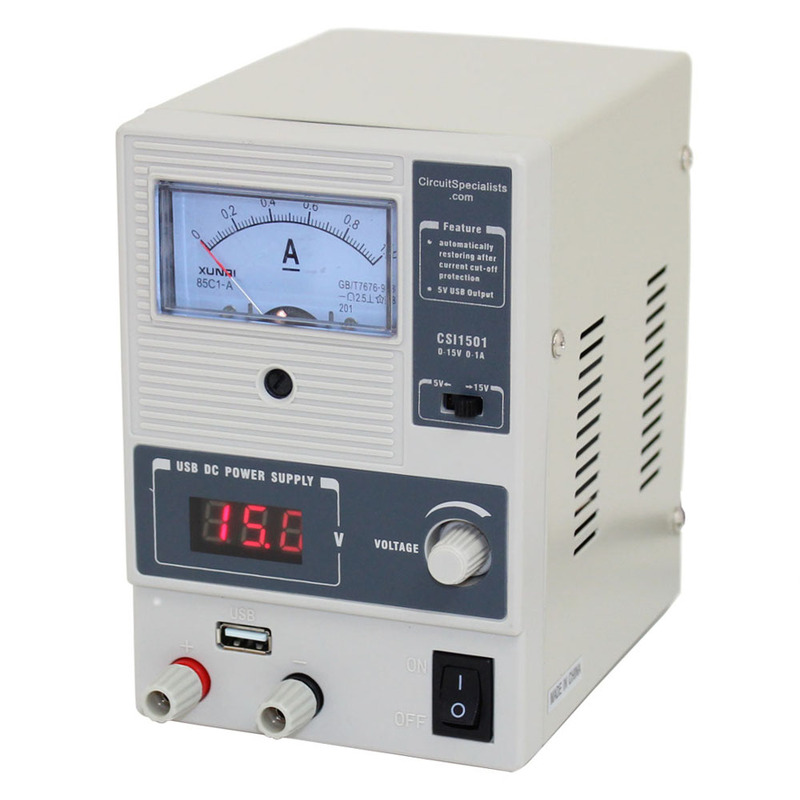 The CSI1501 is a fully regulated benchtop switching power supply with adjustable current and a 5V USB output. 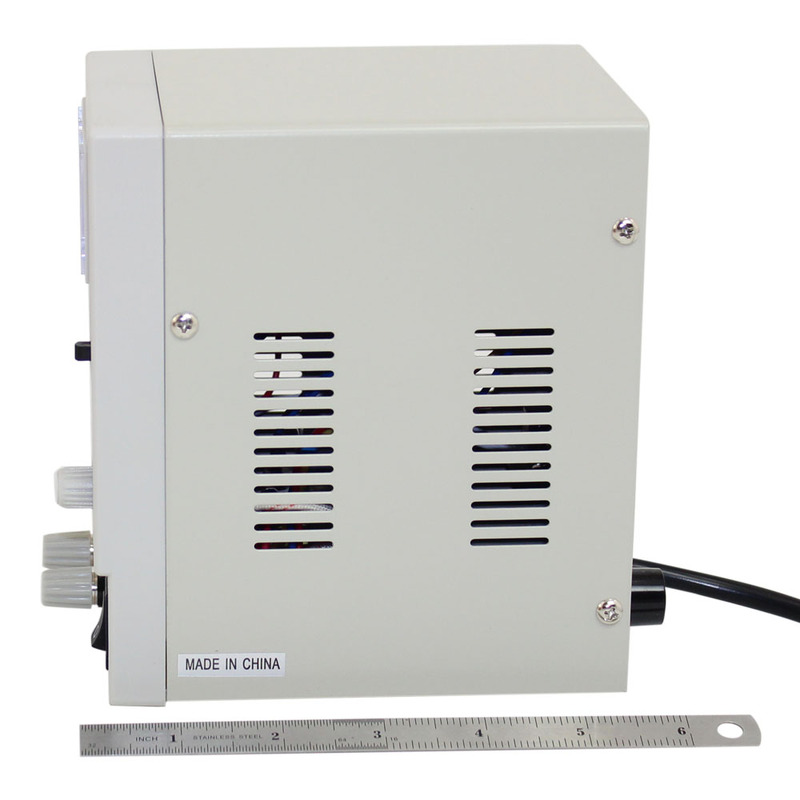 This model is a low cost, but fully regulated bench power supply that provides 0-15 volts with up to 1 amp of output current with very low ripple noise. 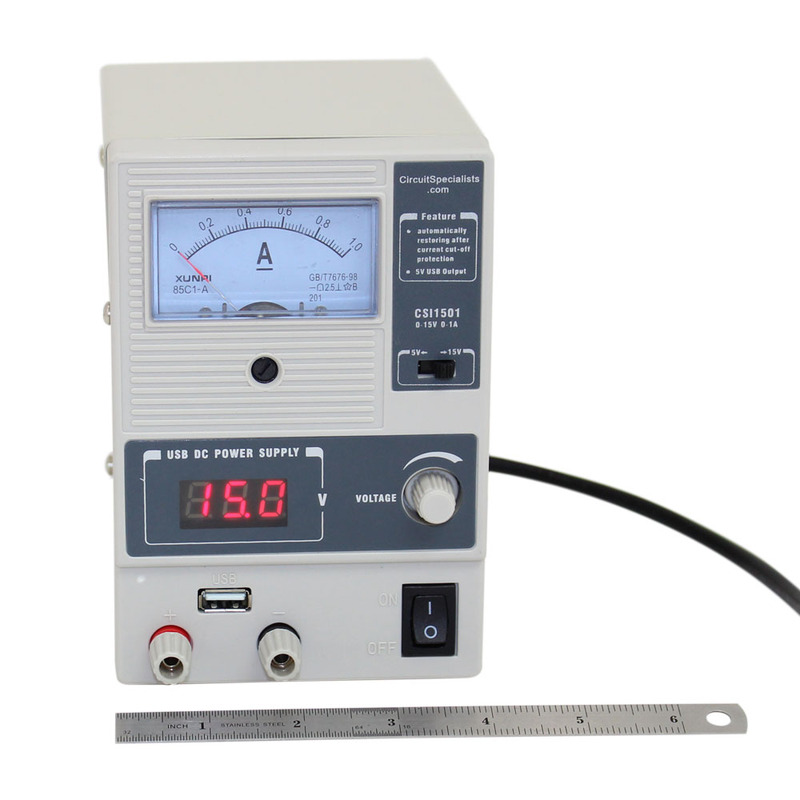 Voltage is displayed digitally, and current can be read via the analog dial. Because of its small footprint and value pricing, the CSI1501 is ideal for lab, education, maintenance, testing debugging etc. 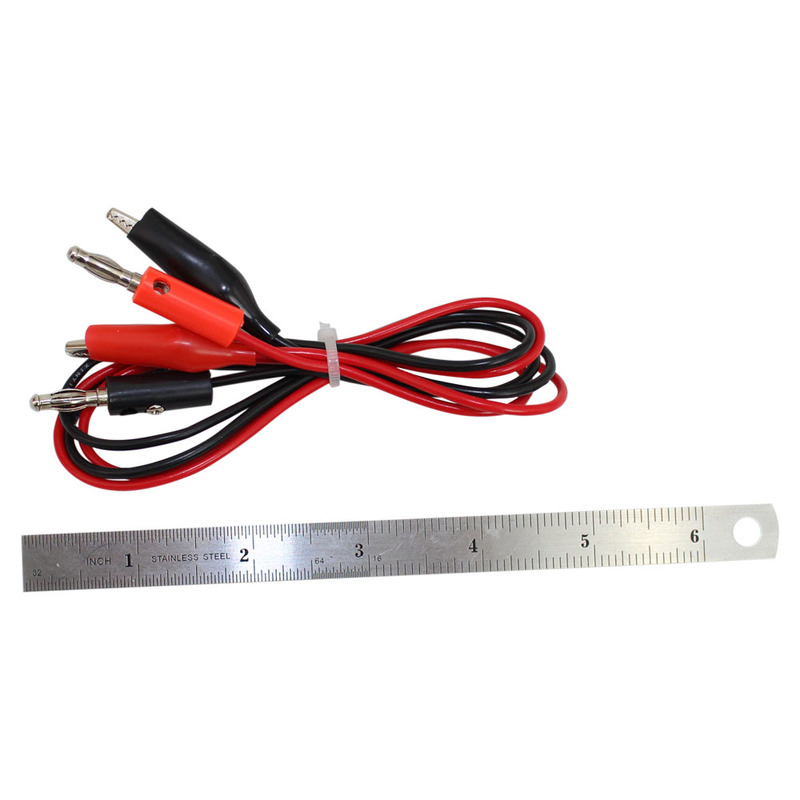 It has built in over-current and short circuit protection, via an audible tone. Additionally, the unit features a front panel USB output connector. 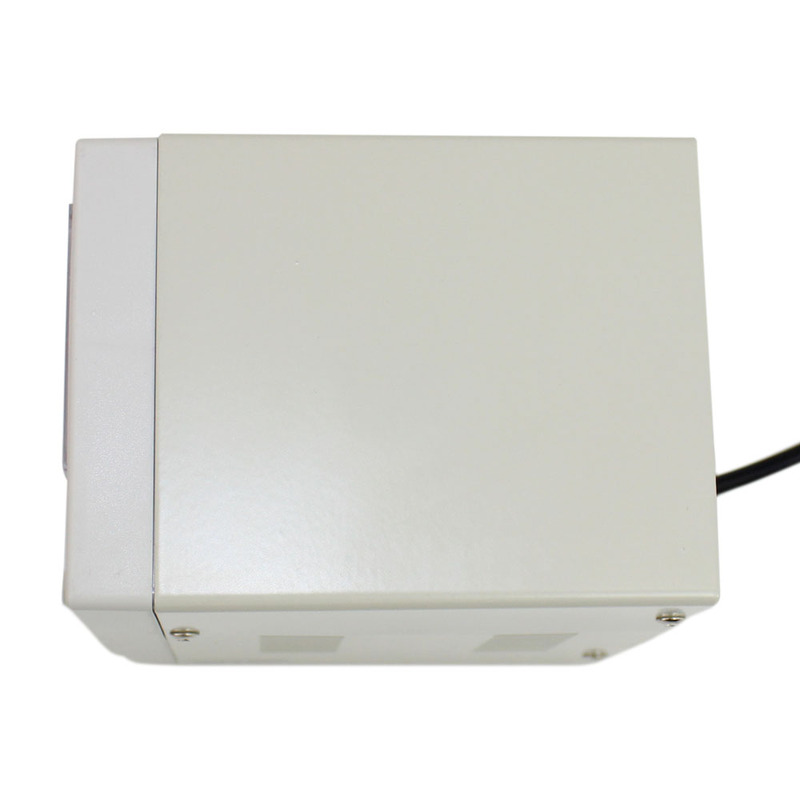 This unit also includes a voltage range switch which allows the user to select a 0-5VDC output or a 0-15VDC output. 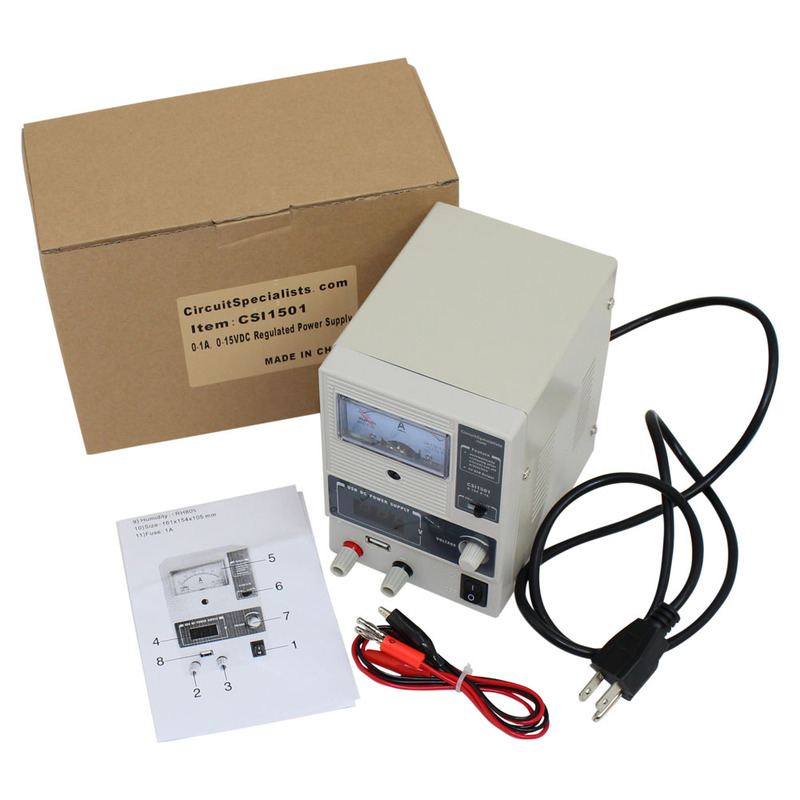 For more information, refer to the CSI1501 DC Power Supply's Owners Manual.